Well done to the hdc Panto girls! 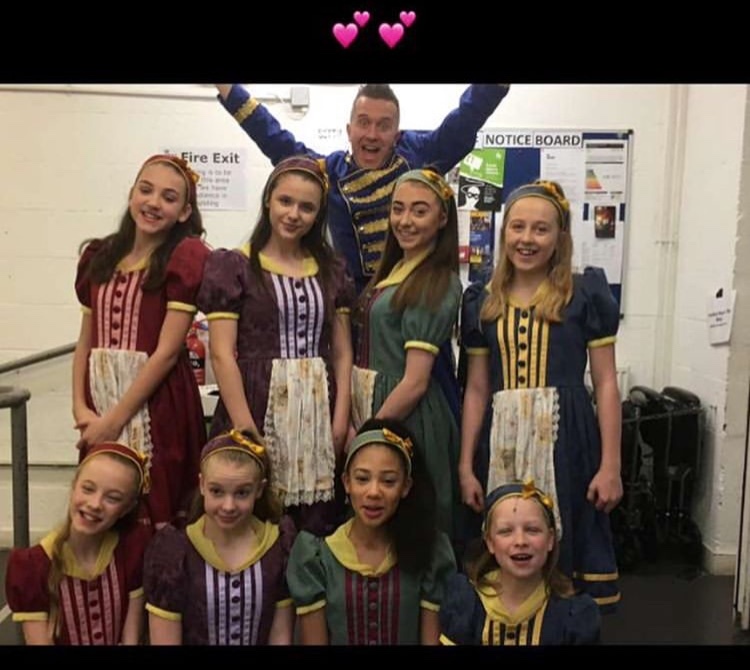 6 of the HDC dancers took part in Panto this Christmas appearing in Cindarella at The Marlowe in Canterbury and Jack & The Beanstalk at The Theatre Royal, Margate. They all had a fabulous time. Miss Heather watched them all and was very proud of how well they performed. They were thriving on the stage and gained such valuable experience being part of a such big shows. Well done girls! Here are some of their photos …. Star of the term - Olivia C! 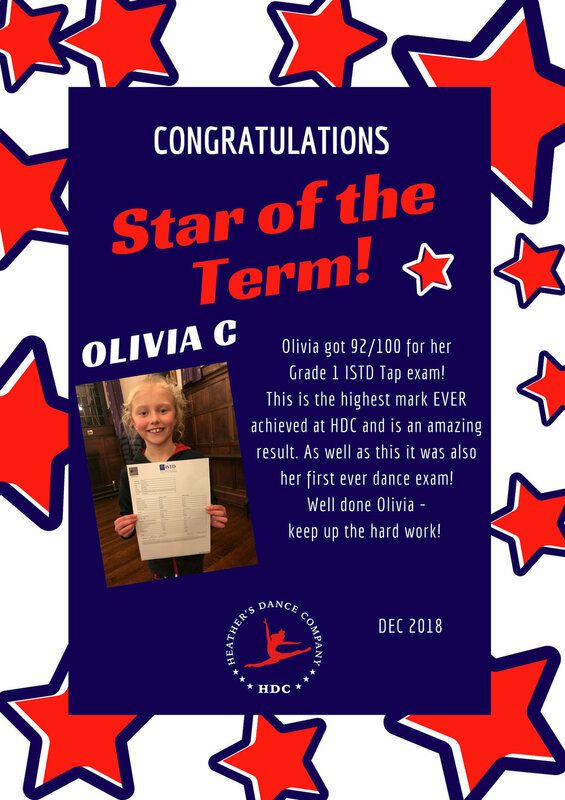 Well done to Olivia C for winning the latest Star of the Term! Olivia scored the highest ever HDC score in her ISTD Tap exam - 92/100! Huge Congratulations Olivia! Keep up the good work! Congratulations to Miss Heather who is now a fully qualified PBT Teacher. Miss Heather loves learning new things and going on courses to keep up to date. Over the weekend Miss Heather attended a PBT course and was very successful! Well done Miss Heather! So You Want To Dance Group Challenge success! It was a busy weekend for HDC as well as attending Destination Dance our two group dances also competed in the So You Want To Dance’s first ever Group Challenge. And we had huge success - FIRST place for Birds Set Free in the Junior Classical/Lyrical Section and joint FIRST in the Junior Cabaret Section for Cops & Robbers - WHAT A WEEKEND! Well done everyone! Especially as this was only the second time these dances have been performed! The girls were also excited by one of the Judges at this competition - Khyrese Heron, who was the winner of BBC’s Taking the Next Step and then appeared in the BBC’s Next Step as Cooper. Here he is presenting the award for Birds Set Free to Darcey! 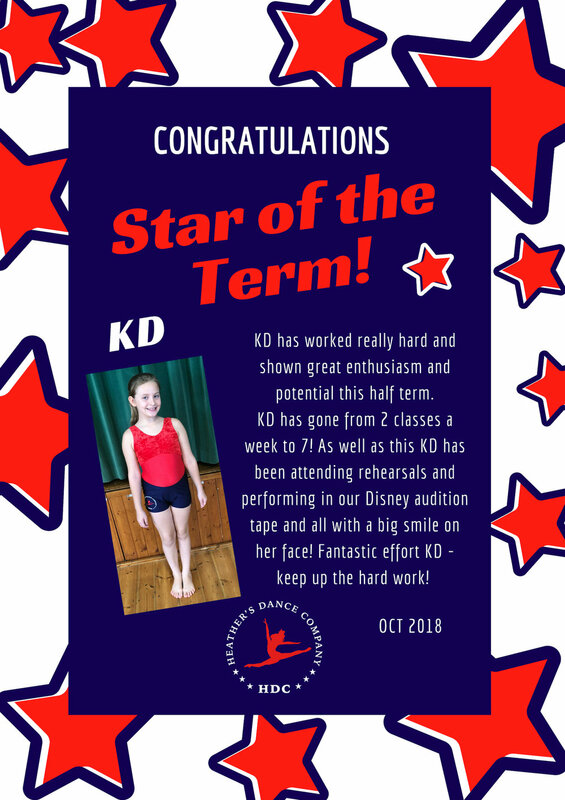 Congratulations to our very first Star of the Term - KD!